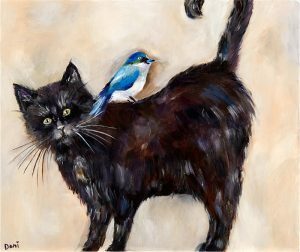 At present, I am owned by Cecil our family cat. 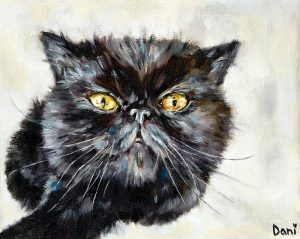 He lives with us at our home in North London. 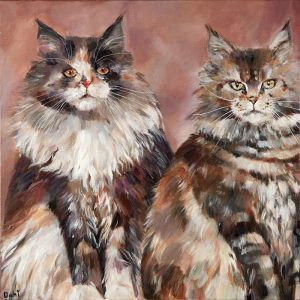 As far back as I can remember I have always had cats as family pets and always enjoyed painting cats. 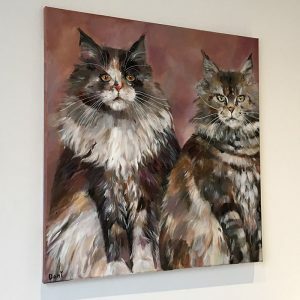 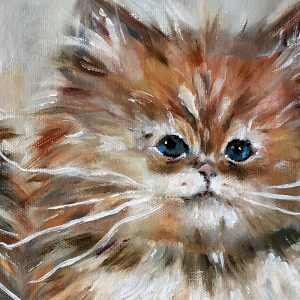 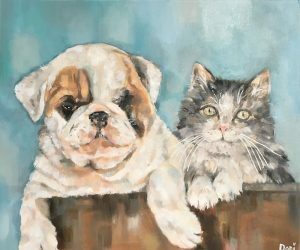 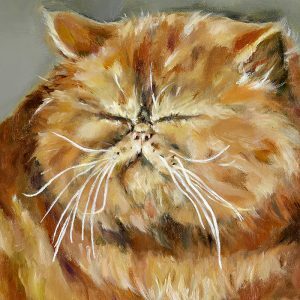 Over the years, I have painted cats through many different mediums and in many varied styles, from graphic, flattened forms to textural fluffy cats with layers and layers of painted fur. 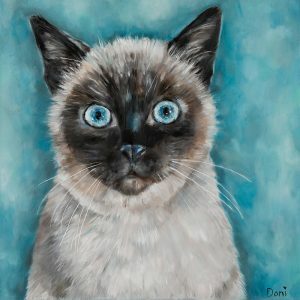 I try to explore new ways in which to paint cats but keep certain features the same. 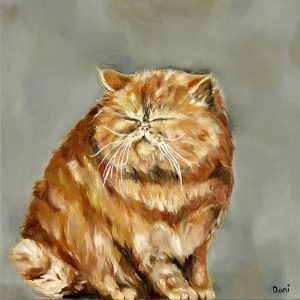 I love to stylise the feline form, for example, extend the whiskers and increase the fluff. 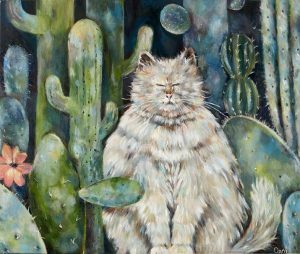 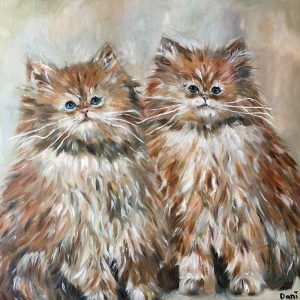 The results are impressionistic cat paintings with oodles of personality in a recognisable Dani Bergson style. 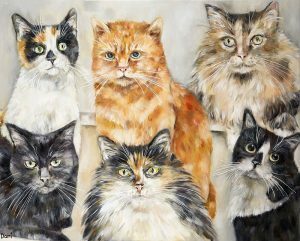 Below is a selection of my latest cat paintings. 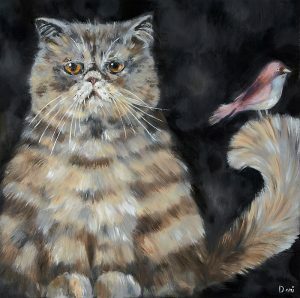 If you are interested in commissioning me to paint a pet portrait of your cat, please contact me at my London studio.